Following a 40-plus year career as a cardiovascular nurse specialist, Richard Alan Hall took the advice of his wife, Debra, and wrote his first novel, titled Remarkable, which was released in June 2013. 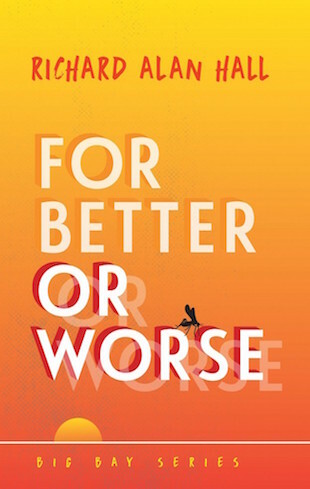 This coming Saturday, October 14, 2016, at Horizon Books in downtown Traverse City, Hall will release his fourth novel, For Better or Worse. We asked Hall to share some thoughts as he prepares for the next big thing. Beyond good storytelling, do you have an overarching mission with your writing? What sets the new novel, For Better or Worse, apart from the other novels? Can you give us some specific plot points? How much of that desire to display the enduring strength of the human spirit comes from your years as a critical care nurse and the things you saw people face? “I’m sure it is completely based on my career. All of these characters are fictitious, but they are an amalgamation of all the people I’ve treated and worked with over the years. But these characters are real to me. I can see their faces and hear their voices. So we hear you like to go above and beyond with your book launches. What kind of fun can we expect this Saturday? Book release details: Saturday, October 14 from 1 to 3 p.m. at Horizon Books, 243 E. Front St., Traverse City, 231.946.7290. Learn more about Richard Alan Hall and his books at richardalanhall.net.